Tasks are the tasks in Forecast. These Tasks can contain a lot of information each, e.g. 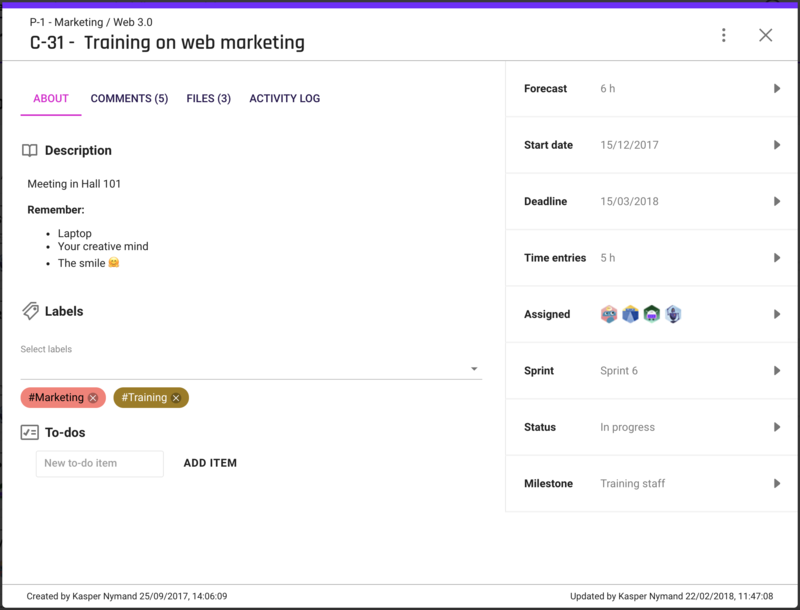 description, comments, files, subtasks, labels, assigned people, and time reported on the card. Tasks are created during Scoping or directly in the Workflow. The Workflow lets you have a more visual look into what's in the pipeline, the current phase of each card, and what is coming up next. You simply drag the tasks around. The smart thing about tasks is that you can have everything related to the task attached directly to it. Files uploaded are always on the card, and the same goes for Google Drive files linked to the card. This means a one-stop location for the newest iterations, resources, and the most up-to-date information about the task. At the top of the task, you find the menu, the three dots. The menu hides a list of more specialized actions to take on the task. Block: Lets you mark the task as blocked, and holds it from moving forward in the Workflow. Mark as non-billable: Marks the task as non-billable, and time reported on the task will be tracked as non-billable time. 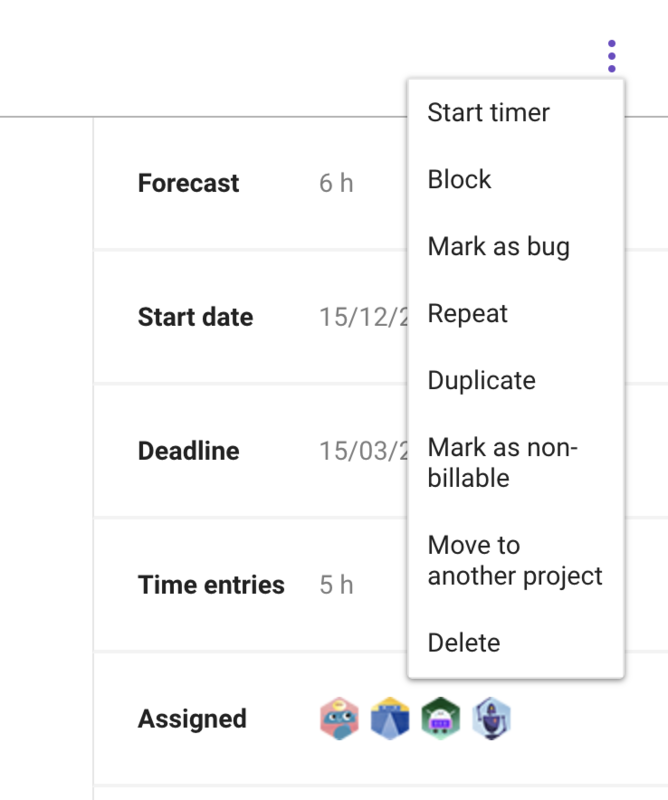 Move to another project: Lets you move the task to another project. The task will be removed from the current project.